MAKE IT FREAKIN’ EASY! MAKE IT COOL! PEOPLE WILL LOVE YOU FOR IT! ON AVERAGE, ORDERS TAKE 10 TO 14 DAYS FROM APPROVAL TO DELIVERY, COMPLETE WITH YOUR LOGO! How To Place an Order. EMAIL-US and tell us which product you like. Tell us how many you want, when you need them by and be sure to include a copy of your logo. We will then do a FREE Virtual mock-up of the product with your logo on it in about 60 minutes. The mock-up is returned to you complete with an all inclusive delivered price. Minimum orders start at just 250 units with less than minimum available on some items. Save Up To 67%! If you like what you see, simply say “yes!” and we will send you an invoice and order confirmation. Once the order is made you are then placed in the comforting hands of our production department who will keep you in the loop every step of the way! ANYWHERE IN THE U.S.A., CANADA AND EUROPE! WHY WOULD YOU EVER ORDER YOUR PROMO SWAG ANY OTHER WAY? 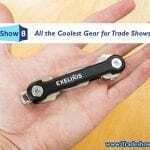 https://promocrunch.com/wp-content/uploads/2018/04/tradeshow_b2b_promotional_products_are_awesome_1024x1024.jpg 100 1000 admin https://promocrunch.com/wp-content/uploads/2019/01/Logoheader1800x130.jpg admin2018-04-02 13:04:122018-04-02 13:04:12MAKE IT FREAKIN’ EASY! MAKE IT COOL! PEOPLE WILL LOVE YOU FOR IT!